We often forget the role of our emotions and thoughts in terms of healing. I used to be very focus on the physical aspect of healing. That if we live in the proper way, sleep early, avoid wifi, eat the fresh vibrant food, we will heal, automatically. Of course by following that, your body will feel so much better and this wellness will impact the spirit. So it means that physics and spirit are linked and that one can impact the other in ... both ways..... I found my coaching being so much efficient since I have started to coach, both spirit and body... Some people are not ready to heal, to loose weight, to gain weight .... Being sick is a way to get the attention of your world, get the pity from the people around you, and it is nourishing your ego, your fears. Loosing weight, means you are independent, that you trust the world about the love you will find in it, without having to keep surrounding you with fat/water to keep the surrounding feeling, that you need, but that you are afraid not find in the world. Being thiner is also a way to be less "seen", with overweight people will see you anyway, what if you get lean and people don't pay attention to you anymore? Don't you think that you can do more, than being overweight to get the attention of the others? Of course you can! All of our behaviors are nourished by fears, fear we've got from our parents, our education, our lifestyles, that are difficult to work against it, if we don't accept it. The solution is very simple, just accept who you are, your fears, feed them with love, compassion everyday. Send love, trust to yourself and you will be able to get rid of what you don't like, but that was keeping you "alive" in a small life but still. We all need love, the world is full of love, we don't have to protect ourselves by pretending a sickness like to cancer or diabetes to exist and being loved! Free yourself from old patterns that keep you prisoner of your fears. Don't reject any part of you, just accept & send them love! Today I wanted to share with you a simple tip that will enable you to feel lighter after you eat, to absorb more nutrients from your food intakes, to be able to digest properly , get more energy, loose weight or gain some weight if needed. Well to regulate part of your digestive process. 1 single simple tip easy to do anytime, anywhere. Do not eat and drink at the same time !Yes beautiful people, we are all used to start our meals with drinks, water, juices, tea or however to keep drinking during the meals to smooth the food, and drink a lot after the meal to keep smoothing ! The matter is that when the food you have eaten reach the stomach , many glands are producing enzymes in order to break down your food to make it available to your circulatory system , but if you drink , whatever it is you will dilute those enzymes, those little scissors , and avoid your food to be properly digested, it will reach your colon into big pieces, and will not be "authorized" then to go through your blood system to nourish your body. It can be nice organic raw food , without break down it will not reach your cells. What a waste right ? So now the question is why do we drink or feel thirsty during meals? well fruits/veggies are full of water so you should not feel thirsty except if you cook them and by doing so , you are removing the water content from it. Which is dehydration so then you could feel thirsty eventually. If you eat grains, flours, salts, refines sugar , meat, dairy products , all cook highly processed products you will feel thirsty but if you eat hydrated fresh raw products it will not happen. Make your choice, assume your consequence ! But it is worthy to try it anyway, drink 30 minutes before or 1 hour after your meals , it will change your meal time. Please feel free to comment below and let us know ! 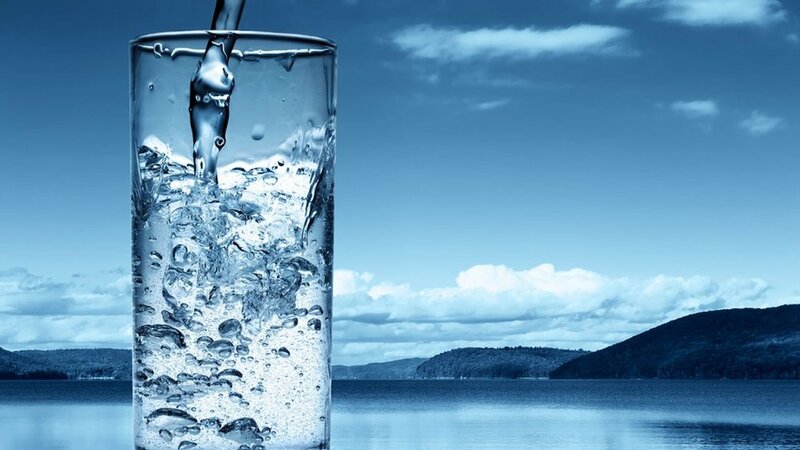 So today I am going to share with you my feelings & impressions about my last 21 days water fast, but also tips to success with it and make it the easy & joyful . First of all, fasting needs a training, I can still remember my first water fast few years ago it lasted 2 days and half I was tired , nauseous, craving for food and really depress .I am sure that most of you experienced something similar everytime you've tried it. Fasting requires a real body and mental preparation that can take up to a 1 year to make you feel ready. So take it easy and relax. Every year I am doing a 21 days water fast to flush out my kidneys, remove any waste from my GI tract, give some holidays to my liver, pancreas and full digestive system , we all love having some holidays, our body too. Did I feel hungry ? No , because 3 weeks before starting it I told to my body that on the 3rd of July we will be fasting, so my body new it , and prepare it self for it. Before the fast I did fulfill myself with plenty of raw vegan food, fresh organic food, cold press juice but also some little cook food that I really love, I had 1 buckwheat crepe with fresh veggies, and some raw vegan fermented nut cheeses and raw nut free bread from the amazing raw food place in Ubud , Sayuri In fact during those 3 weeks previous my fast I did really ensure to give to myself any pleasure that I wish, what a great way to deal with your body! So on the first day of my fast my body was ready full of love , pleasure and I did not got hungry one single time, I went to the restaurant with my friends , see them eating, I could smell the odors , feel it was good odors , beautiful one, but nothing else, just like having the feeling of a memory . Because my body is quite clean as I have now a healthy lifestyle for over 7 years , this fast did not really had any healing crisis , just 5 days of twice daily diarrhea with lots of black mucus, probably old things from childhood. The remaining was like normal day I went to the immigration office to make my visa 4 times and trust me it is not an easy task , hours of queue and 1 hour of traffic jam to get there , but I drove there easily by my own with my distilled water glass bottle and all good. I have been working everyday , creating this new website and community because I just got so inspired. When you are not wasting your energy to digest all day long, your brain starts to work way better, stronger and bigger and what I would do in 2 months if eating was done in 2 weeks water fasting, we always underestimate the potential that lives inside of each one of us if we remove the barriers, limits and borders. For the last 2 days I decided to go into a dry fast, in order to increase the kidney flush. Well those 2 days were amazing, I got high, was feeling happy, super conscious , had visions of my future, of the right choices I needed to do it was all clear and full of love , I was feeling so blessed, feeling like a newborn in the arms of his mum, feeling the best sensation of beauty , love and security in the world. It was a very deep natural emotion that is hard to explain. But stronger then whatever you can try in your life. My tears are falling out when I writing it right now, as it is so intense , it is just pure unconditional god's love. So this is end , yesterday I had my first juice, at Seeds of life, it was just magical , plantain, pineapple turmeric ginger, magic flows running through my body like the niagara falls, could feel its power and gentleness at the same time, did not feel hungry at first but then slowly wanted a mango, because this is what I did tell to my body for 3 weeks , that we will break this fast with mango, it was the most delicious mango in the world. Basically to resume that experience , if you prepare yourself properly a fast will the best experience of your life and will be very gentle , simple and allows to keep having your daily healthy life without any issues. Even though that when you are fasting it is recommending to rest a lot so your body can activate more cleaning process .